The Society of Indexers offers one-day, half-day and online workshops as part of its education and continuing professional development programme. Their purpose is two-fold: to enhance indexing skills through the guidance of an expert tutor, and to give the opportunity to network and learn from other indexers. 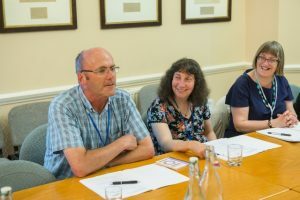 Workshops on a variety of topics take place at different times and locations through the year, typically at conferences or at the request of local groups. Alternatively, online workshops enable individual study at a time to suit you. For prices and how to book go to the prices and booking page. The Society of Indexers offers a half-day in-house workshop on Indexing for Editors for publishing companies. Courses and workshops run by other organisations may also be of interest to indexers.